Hey California, You Can Still Have a Lawn! Los Angeles Times. July 23, 2015. By Janet Kinosian: The poor traditional Southern California lawn. Our flat green grass turfs have been beaten up and bullied with calls to replace them. 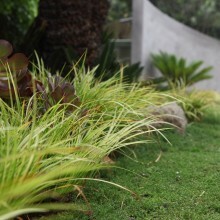 But how many people know there are numerous drought-tolerant grass species well suited for the Southern California climate that still have the general look and feel of lawn as we know it? Agent Ace. June 25, 2015. As temperatures rise and summer kicks into high gear we’re reminded all the more of the west’s worsening drought. 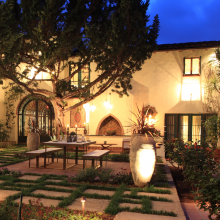 Picture-perfect green lawns can be a huge offender when it comes to water wastefulness. 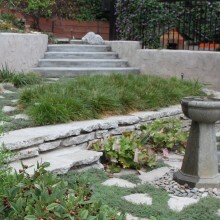 Whether you’re looking to do your part as a Californian or Arizonan to cut back, or simply looking to be sustainably-minded in your neck of the woods, we’ve got some easy ways to make your lawn water-conscious, with style.